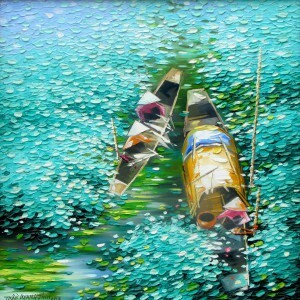 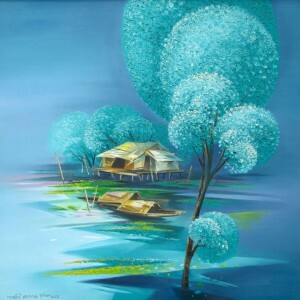 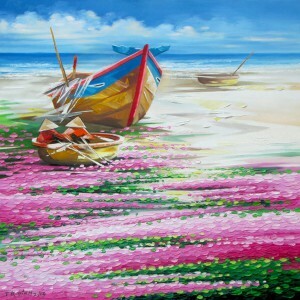 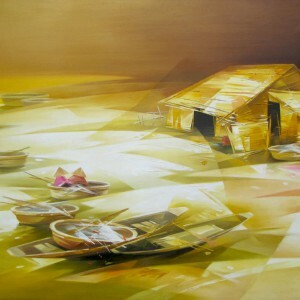 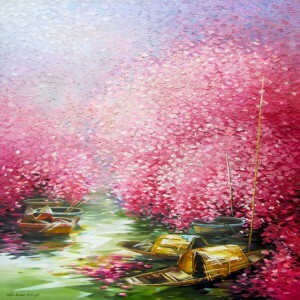 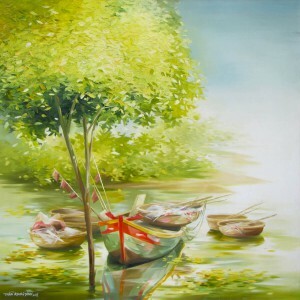 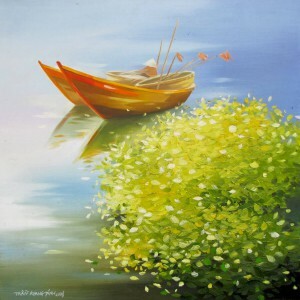 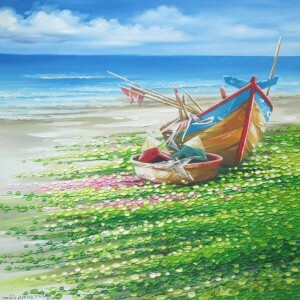 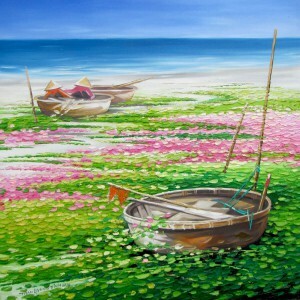 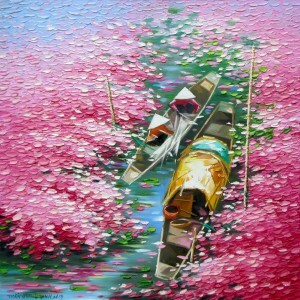 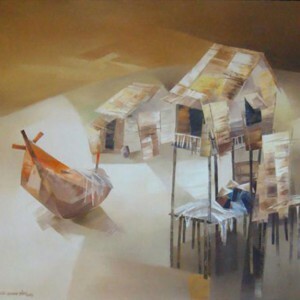 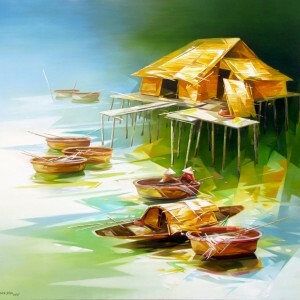 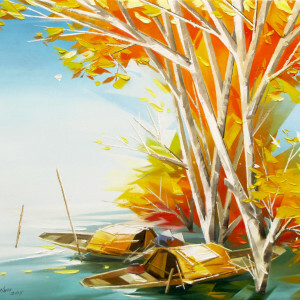 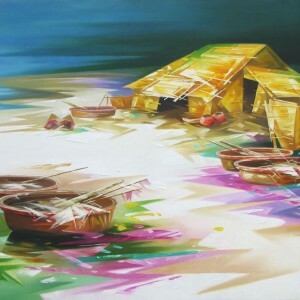 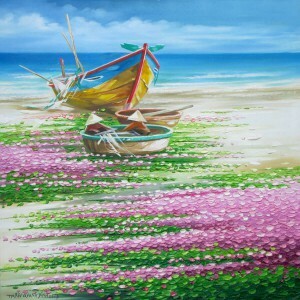 Asian painter Tran Quang Dinh was raised in Phan Thiet, one of the country’s major fishing trade centers. 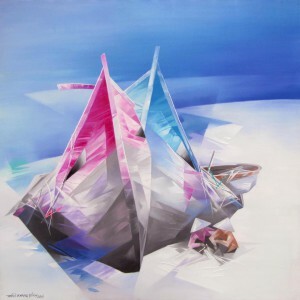 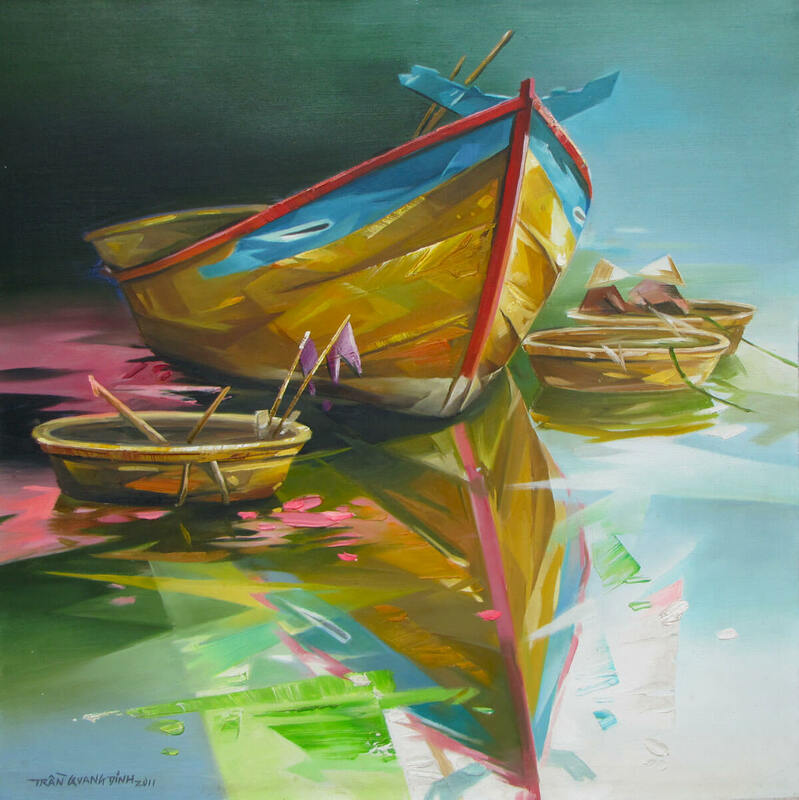 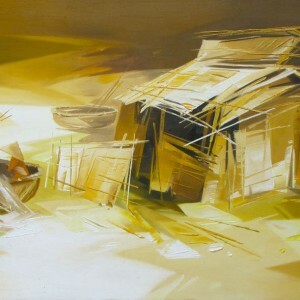 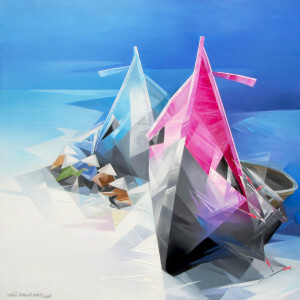 Thus, images of boats appear often on his canvases. 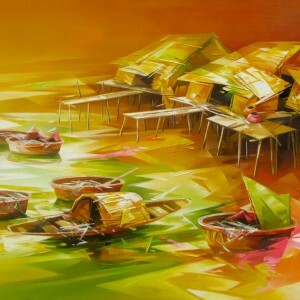 This piece with resting boats and coracles is no exception. 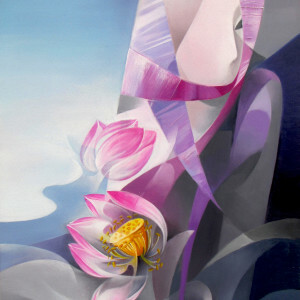 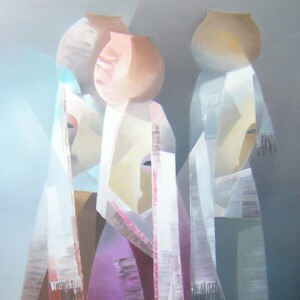 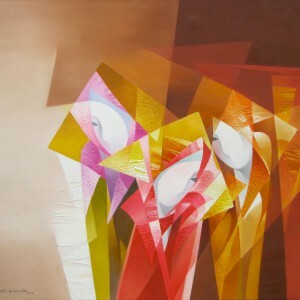 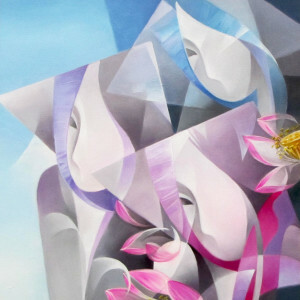 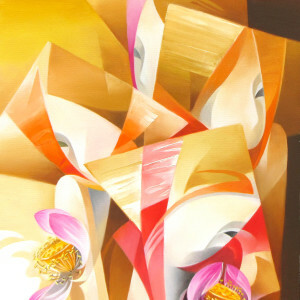 This composition is built on the contrast of light and dark colors, giving the piece a special depth and profoundness.